Tony McMullin of Marietta, Georgia- began his “Postcards to Voters” campaign back in March 2017 in support of Jon Ossoff. Undeterred by Ossoff’s loss, Tony mobilized for the 2018 midterms. 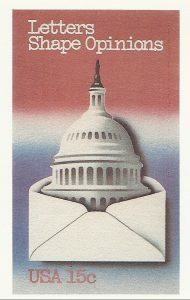 Remarkably, his efforts have blossomed into a national postcard writing army of 40,000! Instead of being paralyzed by fear or unsure of how an individual could help, Tony’s volunteers are expressing their civic duty by putting pen to paper. They are meeting at cafes and kitchen tables, and are calling what they do: “Sharpie therapy!” A script is provided to inform the voters about the issues in their various local campaigns. It is more personal than texting and phone banking, and more tangible, therefore, it’s more social. 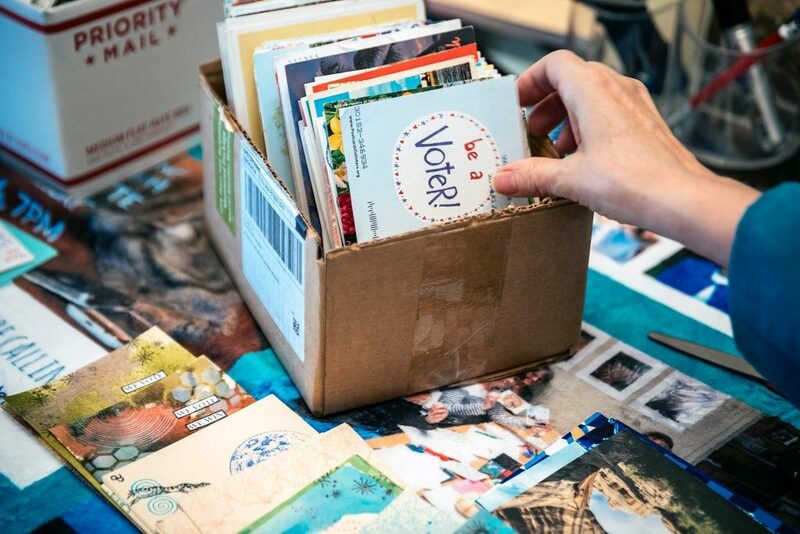 “In the postcard, you know you are creating something that stands a good chance of being held (by the voter), or being put on a bulletin board or a fridge,” Mr. McMullin said. And because it is so rare to actually get a handwritten piece of mail in your mailbox, these postcards have more human value AND the power to grab someone’s attention.